The bear from deepest, darkest Peru is back, now firmly established in his north London home of 32 Windsor Gardens with the Browns and ready for another adventure with Paddington 2. Paul King is once again at the helm, as well as a few cast additions. The first Paddington was a joyful and somewhat unexpected treat, and the sequel is no different. King, and his co-writers Jon Croker and Simon Farnaby capture the spirit of Michael Bond’s childhood classics perfectly, delicately crafting a whimsical tale that is full of laughter and heart that is sure to appeal to both children and adults. The screenplay is accompanied by Wes Anderson inspired visuals and whimsical nods to the storybooks, not to mention the FilmFare’s 1970s TV series. In one beautifully rendered scene, a pop-up book, owned by Mr. Gruber (Jim Broadbent), springs to life and Paddington, along with his last surviving relative, Aunt Lucy (tenderly voiced by Imelda Staunton), take a tour around the sights of a 2D hand-drawn London. Such moments could be cloyingly nostalgic, yet in King’s hands, it proves to be nothing less than enchanting. King and his team, (including the Harry Potter producer David Heyman), have carefully considered every detail of the world they have crafted. 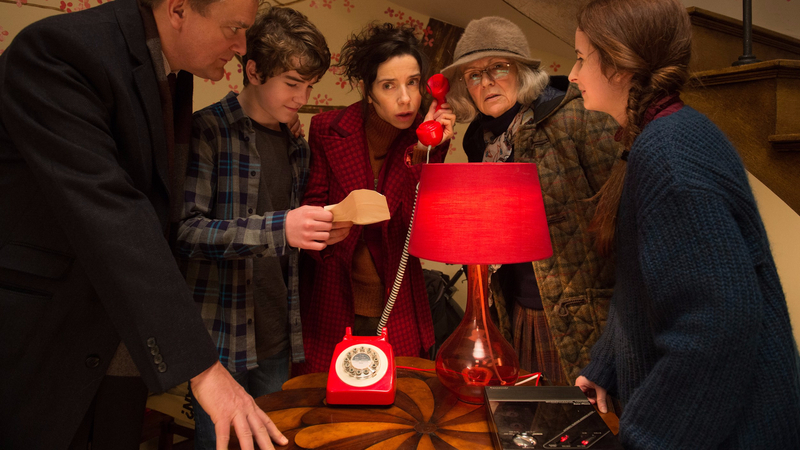 Yes, it is twee to a certain extent and happy to show off a chocolate box London of pastel colours and kooky townhouses of Maida Vale, but underneath the gingham table clothes and teapots, the film wears its politics proudly. If the first film was about accepting and welcoming immigrants then the sequel is all about embracing and living side by side – you don’t have to dig very deep to read the anti-Brexit sentiments. It goes without saying that Paddington remains as loveable as ever, but it is Hugh Grant as the dastardly villain of the piece that steals the show, offering a belly-achingly funny performance. Grant plays Phoenix Buchanan, a well-coiffed actor, replete with a dazzling array of cravats, that has fallen from favour and still yearns for his one-man show on the West End. Buchanan learns of Gruber’s pop-up book, which in a quirk of history turns out to be a treasure map to a fortune that his grandfather had once tried to snaffle from a famous circus acrobat. Grant, who has more costume changes than a Lady Gaga concert, is given some of the best lines and moments in the film, including an excellent A Winter’s Tale nod. You will go for the bear, but it is the sight of the Four Weddings and a Funeral star scurrying across the floor of St. Paul’s dressed as a nun that you will remember.